Risavika Port is only a 20-30 minute drive from Stavanger city centre. Shuttle buses are available for foot passengers. 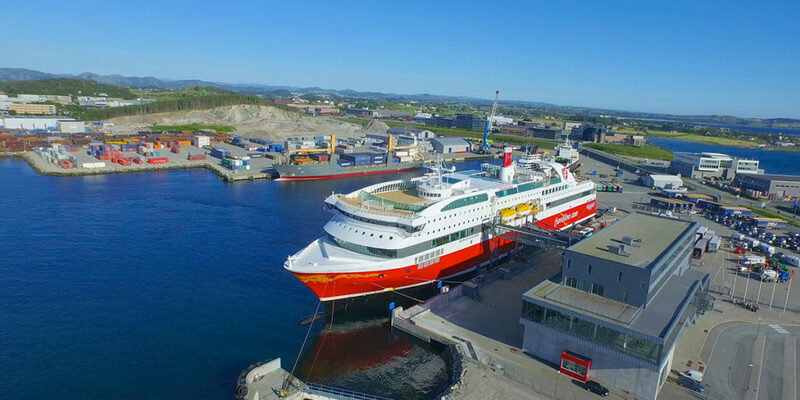 We call at Risavika Port, which is only a 20-30 minute drive from Stavanger city centre. Of course, Fjord Line offers a shuttle bus service to quickly take you in to the city’s attractions. Once you arrive, you can revel in the vast array of fjords, mountains and postcard-perfect sandy beaches. However, if you’re a real foodie, you’ll soon discover that the oil city has a great selection of restaurants and food outlets: Stavanger is famous as an international city of food. The city offers a wide range of restaurants from across the world. The city is also host to the celebrated Gladmatfestivalen (Happy Food festival) every year. Fjord Line’s cruise ferry MS Stavangerfjord calls at Risavika Port outside Stavanger. Yes, there are toilets on the 1st and 3rd floors. Disabled toilet on 1st and 3rd floors. Yes, free parking right outside the terminal. Vending machines for soft drinks and snacks on 2nd floor. On the 3rd floor, there is a coffee machine (also offering soups, hot chocolate etc.). There is also a soft drinks/snacks machine near the Cargo section. The ticket office accepts NOK, DKK and EUR. Coins are only accepted in NOK. ¬Accepted cards are Norwegian debit cards, VISA and MasterCard. You can spend a lifetime discovering the charms of Stavanger, but here are some of Fjord Line’s top tips. Gamle Stavanger is Northern Europe’s best preserved neighbourhood of wooden buildings. The historic area consists of 173 protected and restored wooden houses which were built at the end of the 18th and beginning of the 19th century. The houses vary in shape and size and are all painted white. There’s no better example of idyllic and peaceful western Norway! In 1975, Gamle Stavanger was identified by UNESCO as one of the best preserved towns in Norway. The Municipality of Stavanger has received several awards for the preservation of Gamle Stavanger. Today the houses are partly privately owned and partly municipality owned. 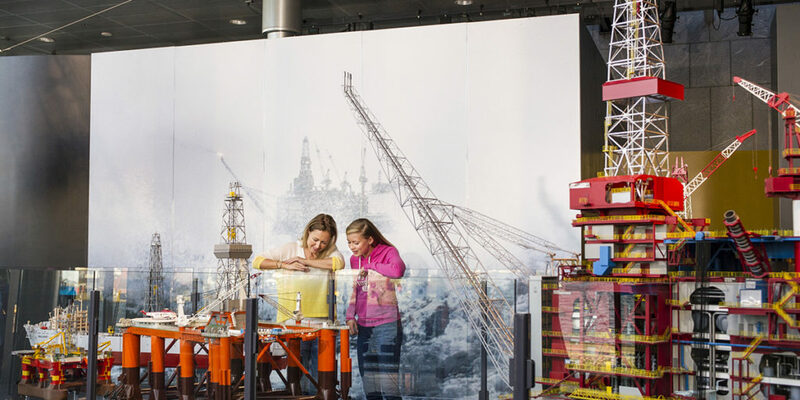 Norway’s oil capital wouldn’t be complete without its own oil museum. The 5,000 square metre museum shows the development of technology from the 1960s to the latest extraction techniques. Here you’ll learn everything about the oil industry, from the very first oil rigs to drill in the North Sea, to modern production ships and underwater systems. The story of how oil and gas were formed millions of years ago is also fascinating. Long before the discovery of black gold, canning was a major industry in this Western Norway city. The canning museum opened in 1982 and exists as a final fading memory of a long-forgotten age. The museum itself is situated in an abandoned canning factory in Gamle Stavanger. Here you’ll discover old production equipment and get a sense of the historical period between 1880 and 1925. The old machines are still working, and on the first Sunday of the month, as well as every Tuesday and Thursday during the summer holidays, the ovens are fired up again. In historic and scenic Hafrsfjord, at the very heart of the municipality of Stavanger, you’ll find the impressive monument “Sverd i fjell” by the Norwegian sculptor Fritz Røed. The monument consists of three huge swords, nine metres tall, buried into the rocks. The swords commemorate the battle of Hafrsfjord in 872, when Harald Fairhair unified Norway into one kingdom. The memorial is regarded as a national symbol of liberty and the swords have been cast into the rocks so they may never again be used against one another. 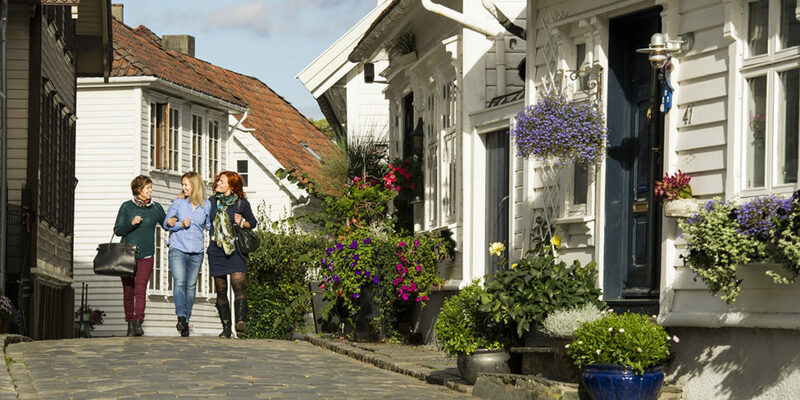 This charming street is a local legend in Stavanger. It’s often colloquially known as Fargegata – the colourful street – and it can definitely be said to live up to its name! The street was originally regarded as an Achilles heel to the city’s development and for a long time all you’d find here would be dingy corners, noise and small shops that couldn’t afford to rent anywhere else. However, in 2005 the street experienced a full renaissance, when the old wooden houses were painted turquoise, pink and various shades of green. Today the street is the perfect place to stop for a cup of coffee in the sunshine! Follow E39 in the direction of Stavanger. Continue along the E39 and turn off towards Forus Vest. Follow the road and signs marked 509 Tananger, (DK) Risavika. Follow the E39 in the direction of Kristiansand/Sandnes. Continue on the E39 before you turn off towards 509 Tananger, (DK) Risavika and Sola Flyplass. Continue to follow the road and signs marked 509 Tananger, (DK) Risavika. The Fjord Line bus takes you easily, cheaply and efficiently through Risavika Port and the city terminal in Stavanger. More information about the Fjord Line bus here. Check-in at least 60 minutes before departure (applies to both domestic and international journeys). Board at least 20 minutes before departure (applies to both domestic and international journeys). Please note that foot passengers checking in after 19:00 need to board via the car deck due to LNG refuelling. Domestic passengers on foot may only board via the gangway, the latest boarding being 06:40.